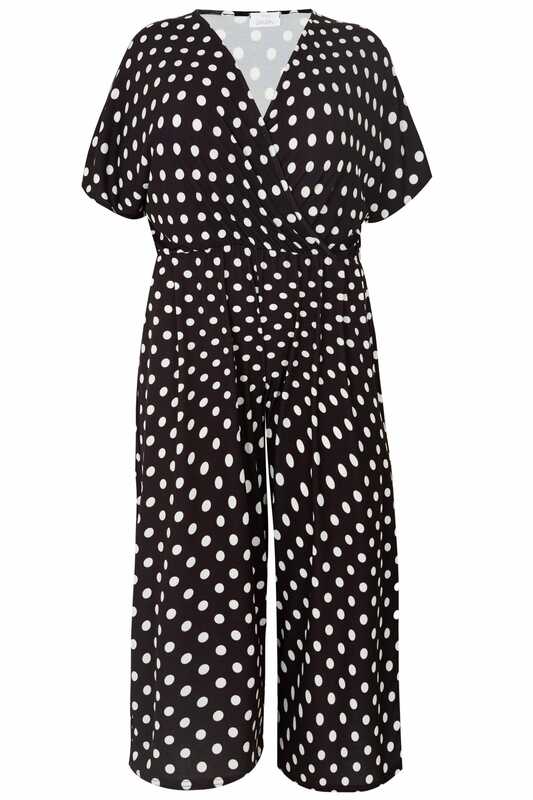 Inside leg length from (approx): 48cm/18.8"
This polka dot jumpsuit has got us jumping for joy! 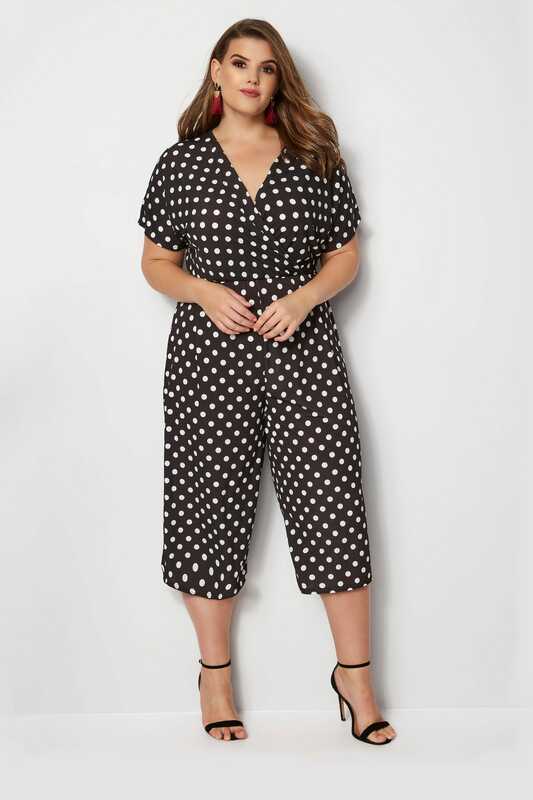 With a flattering wrap-front, it features a contemporary culotte-style leg and a comfortable elasticated waist. 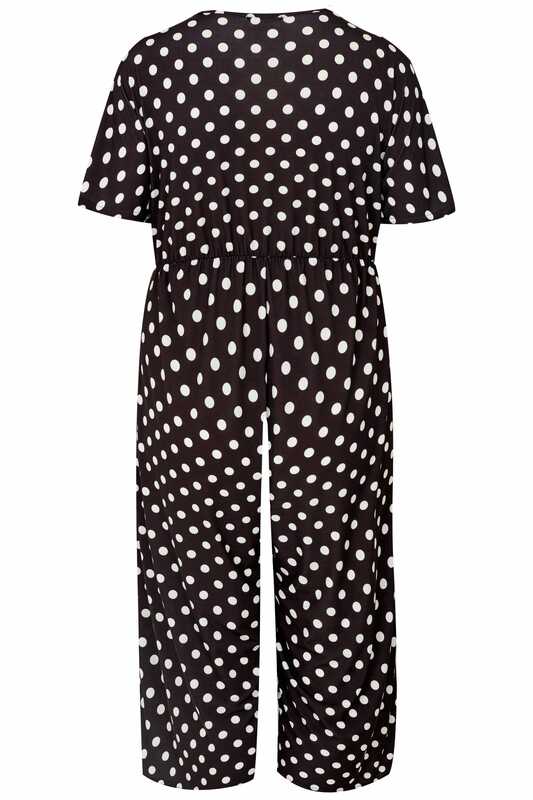 Dress it down with a biker jacket, or team with heeled sandals for evening style. It's the ultimate desk-to-dinner-to-dancing number!